As a way to round off another perfect year, this of course being 2014, I thought it would be interesting to list 50 of what we believe to be the best and greatest movies available on Netflix Instant UK. Netflix is constantly bringing out new movies and TV shows onto their Netflix Instant service, making it enormously exciting to see what's been added after leaving it a month or so. 2014 has not been a disappointing year for Netflix Instant UK, as there have been a ton of new movies added to the service- including the likes of Skyfall; starring the British actor, Daniel Craig (The Girl with the Dragon Tattoo) as 007. However, to our bitter disappointment Skyfall has recently been removed from the service, so it will sadly not be making an appearance on this list. Another great example of a blockbuster movie released onto Netflix Instant UK in 2014, would be The Hunger Games: Catching Fire (2013); starring Jennifer Lawrence (Silver Linings Playbook) and Josh Hutcherson (Journey 2: The Mysterious Island), which follows on from The Hunger Games (2012)- which is not on Netflix Instant UK. However, thankfully, The Hunger Games: Catching Fire (2013) is still on Netflix Instant UK and will be making an appearance on the list. There is no order to this list, whatsoever. All you need to know is that they are all great movies, currently streaming for instant viewing on Netflix Instant UK. 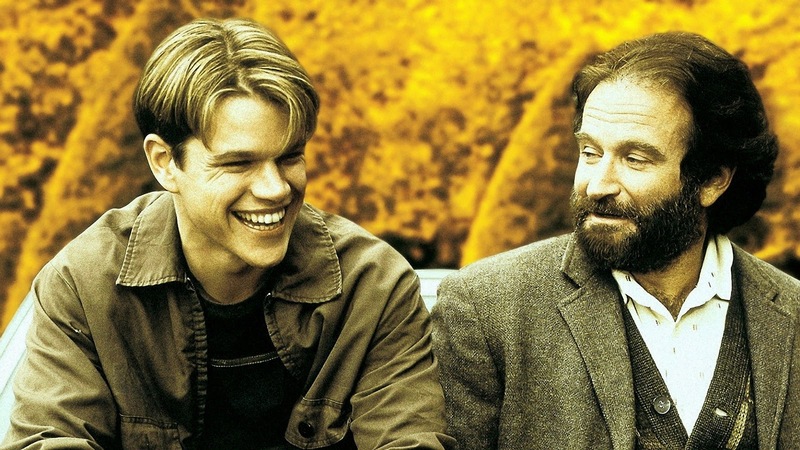 When a janitor at M.I.T., Will Hunting played by Matt Damon (The Bourne Identity), is found to have extraordinary abilities as a mathematician he must receive help from a psychologist, Sean Maguire played by Robin Williams (Jumanji), to get to the bottom of his emotional issues before he can progress in his life and use his gift. When a gentle soul, Forrest Gump played by Tom Hanks (The Da Vinci Code), however unintelligent he may be, stumbles into historic moments through his life in America, he meets his one true love, Jenny Curran played by Robin Wright (House of Cards- TV series) whom he finds difficult to understand. When a child psychologist, Dr Malcolm Crowe played by Bruce Willis (Die Hard), meets a young boy, Cole Sear played by Haley Joel Osment, who sees dead people and he witnesses the boys problems increase, he must help the boy to find a lasting solution. When the ageing head of a criminal organisation, Don Vito Corleone played by Marlon Brando (Apocalypse Now), decides to hand over his position to his son, Michael Corleone played by Al Pacino (Scarface), a series of unfortunate events begin to occur as a war begins between the heads of well-known crime families, resulting in death, revenge and deportation. 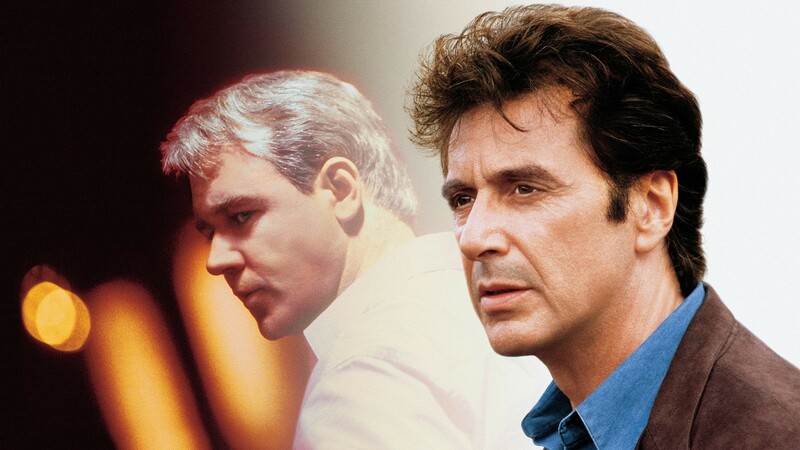 When two Los Angeles homicide detectives are sent out to a small Alaska town to investigate the murder of a teenage girl, emotional difficulties and guilt cloud the mind, of the detective, Will Dormer played by Al Pacino (Scarface), after he accidentally murders his partner and he must still go in pursuit of the murderer of the teenage girl. When a chameleon, Rango voiced by Johnny Depp (Pirates of the Caribbean), winds up in a small western-like town with a whole lot of dirt but not much water, he becomes the sheriff of the town as a desperate attempt to fit in and be accepted by the locals. Small-time rancher, Dan Evans played by Christian Bale (The Dark Knight trilogy), agrees to help transfer a dangerous outlaw, Ben Wade played by Russell Crowe (Gladiator), to the 3:10 train to Yuma where Ben Wade will be imprisoned. However, things go south when Ben Wades gang of outlaws track the group transporting Ben Wade down and they must quicken pace to get to the train before a battle for Ben Wade takes place. When soviets create a new nuclear submarine that can run silently (undetected), a USSR submarine captain, Marko Ramius played by Sean Connery (Dr. No- playing James Bond), violates orders and heads to the USA, but is it to defect the soviet submarine, or to start a war? When a stolen diamond gets onto the radar of boxing promoters, a Russian gangster, unsavoury bookmakers, amateur robbers, and Jewish jewellers, violence breaks out in a series of events as they all attempt to take the diamond for themselves. When the murder of a physicist, Father Silvano Bentivoglio occurs, a symbolist, Robert Langdon played by Tom Hanks (Saving Private Ryan) and a scientist, Vittoria Vetra played by Ayelet Zurer (Man of Steel), go on an adventure to unravel the mystery of who was behind the murder. In Dallas, 1985, when an electrician and hustler Ron Woodroof, played by Matthew McConaughey (Interstellar), is diagnosed with having AIDS, he works around the system to help AIDS patients get the medication they need. When a rogue group of military men, led by General Francis X. Hummel take hold of Alcatraz and threaten to strike San Francisco with nerve gas, it is left up to a biochemist, Stanley Goodspeed played by Nicolas Cage (National Treasure), a prior prisoner escapee of Alcatraz/ex-British operative, John Patrick Mason played by Sean Connery (Dr. No- playing James Bond) and a team of US special forces operatives to disarm the warheads and stop the terrorists on Alcatraz. When Russian hijackers seize Air Force One carrying the US President and his family, it is up to the President of the United States to take down the hijackers by using hiding as his tactic to get the edge over the hijackers as they work on negotiating their demands with the white house. Marvel's finest heroes; Iron Man, played by Robert Downey Jr. (Sherlock Holmes); Thor, played by Chris Hemsworth (Rush); The Hulk, played by Mark Ruffalo (Shutter Island); and Captain America, played by Chris Evans (Fantastic Four), come together as a team to take down earth's most dangerous threats, but can they unite as one? When the IMF is shut down after the bombing of the Kremlin, Ethan Hunt, played by Tom Cruise (Top Gun), and his team must go rogue to clear their organisations name, by stopping a terrorist from launching a Russian nuclear bomb on America. An eccentric family of former child prodigies; Chas, played by Ben Stiller; Richie, played by Luke Wilson; and Margot Tenenbaum, played by Gwyneth Paltrow, reunite after their father, Royal Tenenbaum, played by Gene Hackman (The French Connection), announces that he is dying and would like to make things right again with the family. When Count Laszlo de Almasy's, played by Ralph Fiennes (Shindler's List), plane crashes, he is severely burnt and is treated by a young nurse, as his past unfolds in flashbacks- including love, betrayal and politics. When Jerry Lundegaard, played by William H. Macy (Jurassic Park III), sets in motion plans to have his wife kidnapped by two men to be held for ransom (so he can settle his financial troubles) to be paid by her wealthy father, but things begin to go wrong, worsening after every minute that passes. When Andy Dufresne, played by Tim Robbins (Mystic River), is sentenced to life imprisonment for the murder of his wife and her lover, he finds redemption in acts of everyday decency. When successful head-hunter and professional art thief, Roger Brown, played by Aksel Hennie (Hercules- 2014 movie), steals from the wrong person, he is hunted down, and must go on the run. When an elderly couples insurance company will not pay for an operation for their son's life, a young lawyer, played by Matt Damon (The Bourne trilogy), and his partner take on a powerful law firm which is representing the corrupt insurance company. Katniss Everdeen, played by Jennifer Lawrence (Silver Linings Playbook) and Peeta Mellark, played by Josh Hutcherson (Journey 2: The Mysterious Island), 6 months after being sent into the annual 'Hunger Games', the pair must go on a victors tour around each of the districts, but before leaving, President Snow warns Katniss of his anger towards her defiance in the 'Games'. Bilbo Baggins (a young hobbit), played by Martin Freeman (Fargo- TV series), Gandalf, played by Ian McKellen (X-Men: Days of Future Past), and a group of dwarves set off on a journey to the Lonely Mountain to take back the dwarves home from the dragon Smaug, whom currently slumbers within the mountain. The journey continues, as Bilbo Baggins, Gandalf, and the group of dwarves move forth towards the mountain to reclaim the dwarves home (the Lonely Mountain). Bilbo stumbles upon a mysterious, magical golden ring whilst they are on their quest to reclaim the mountain from the fiery dragon, Smaug. In 1954, U.S. Marshals Teddy Daniels and Chuck Aule are assigned to investigate the disappearance of a murderess who escaped from a hospital for the criminally insane. In order to prevent a plot to detonate a bomb in a public place, an FBI agent- Sean Archer, played by John Travolta (Pulp Fiction), has face-transplant surgery to temporarily have the identity and appearance of the terrorist involved in the plot- Castor Troy, played by Nicolas Cage (National Treasure), in an attempt to get the required information about the location of the bomb. However, the plan backfires and the real terrorist, Castor Troy, takes the identity and appearance of the FBI agent, Sean Archer, using the same method. A successful businessman, Mr. Earl Brooks (aka Mr. Brooks), played by Kevin Costner (Dances with Wolves), has it all, but when his murderous alter ego comes knocking he must murder to control the murderous addiction. When a couple, H.I. McDunnough (ex-con), played by Nicolas Cage (National Treasure), and Edwina 'Ed' McDunnough (ex-cop), played by Holly Hunter (The Incredibles), who are unable to conceive a child, kidnap a quintuplet of furniture tycoon Nathan Arizona, the crime causes endless complications for the pair. An airline pilot Whip Whitaker, played by Denzel Washington (Man on Fire), must perform an emergency landing when the plane he is flying loses control and malfunctions, leading to a heroic and unorthodox technique to safely land the plane in a field. Nearly all of the passengers survive the crash. However, as an investigation takes place into the events leading up to the planes crash, it turns out that Whip has some demons hidden in his closet, as his lifestyle is thrown into question. A struggling screenwriter, Marty, played by Colin Farrell (In Bruges), becomes tangled in the criminal underworld alongside his two friends, Billy, played by Sam Rockwell (Confessions of a Dangerous Mind), and Hans, played by Christopher Walken (Man on Fire), when they steal a dog from a psychopathic gangster. 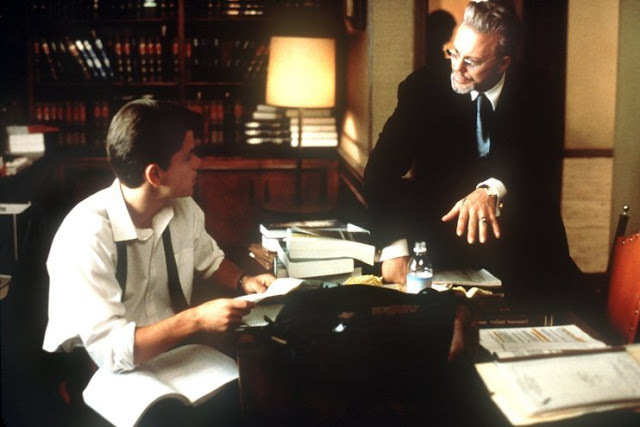 When a research chemist, Jeffrey Wigand, played by Russell Crowe (Gladiator), does an interview with CBS, he risks arrest for contempt of court in an attempt to expose the wrong doings of a big tobacco company. When a jewellery heist goes wrong, the remaining criminals who survived try to work out what went wrong, suspecting that one of them is a police informant. When a married couples life is torn to shreds after the wife, Lara Brennan, played by Elizabeth Banks (The Hunger Games), is accused of murder and thrown into prison, leaving John Brennan, played by Russell Crowe (Gladiator), to look after their son. However, with the threat of life in prison looming over Lara's head, John spends the following three days after realising that his wife will most likely not be released from prison, figuring out a way to break her out. A tough bounty hunter, Beck, played by Dwayne 'The Rock' Johnson, agrees to capture a mobsters son, Travis, played by Seann William Scott (American Pie), from the Amazon to settle a debt, however things aren't as easy as they once seemed as a bad guy, Hatcher, played by Christopher Walken, running the town in the Amazon isn't so willing to let Beck take Travis, due to Travis having knowledge on the whereabouts of a long lost treasure which Hatcher wants. When a house fire kills their parents, the Baudelaire children are sent into the custody of their cousin, Count Olaf, played by Jim Carrey (Dumb & Dumber), who is secretly planning to steal their parents' fortune. When Rodney Baze Jr., played by Casey Affleck (Gone Baby Gone), goes missing and the police take little action to find him, his older brother, Russell Baze, played by Christian Bale (The Dark Knight), takes matters into his own hands to seek justice. After a mysterious plane crashes in a small towns lake in Iowa, the towns water supply becomes contaminated, causing the towns inhabitants to turn insane with violence. The toys gang are back and time has moved forward since they were last seen. Andy is off to college and Woody, Buzz and the others are mistakenly taken to a day-care centre instead of the attic. It is left to Woody to convince the gang that the move was a mistake and that they must return home. A murderer wearing a white mask starts to kill teenagers at a high school in a small town. As the number of victims and bodies rise, it is left to one girl, Sidney, played by Neve Campbell (Wild Things), and her friends (whom all like horror movies) to work out the rules of the game as they find themselves being picked off by a real life slasher movie-type killer. Stuck in a motel in the middle of nowhere during a storm, ten strangers get to know one another as they find themselves being picked apart and murdered, one by one. The mighty god Thor, played by Chris Hemsworth (Rush), is cast out of Asgard (his home planet) by his father, Odin (king of Asgard), played by Anthony Hopkins (Silence of the Lambs), for breaking a truce made between Asgard and the 'ice' planet, bringing war to the people of Asgard. Thor is cast out of Asgard and sent to live on Earth amongst humans and Thor's powers are taken from him also, however, if he is ever to be worthy then his powers shall return to him. A woman, Grace Stewart, played by Nicole Kidman (Australia), and her two photosensitive children live in a darkened mansion on Jersey, and when strange sounds begin to linger within the house, Grace becomes convinced that the house is haunted. A famous mystery writer, Mort Rainey, played by Johnny Depp (Pirates of the Caribbean series), is accused of plagiarism by a strange man, who then seeks justice by haunting Mort at his cabin in a desolate location in the woods. When Rory Jansen, played by Bradley Cooper (The Hangover), finds literary success after a long awaited amount of time, his past begins to catch up with him, as the work which brought him his success was not actually his work. Rory must pay the price for stealing another man's work and face the one who'd originally wrote the work which ultimately brought Rory all of his literary success. When two middle-aged (loser) sons, Dale and Brennan, are united after Dale's dad gets married to Brennan's mum, they are forced to live in the same house. Due to Dale and Brennan's inability to get along and the chaos they cause throughout the house, they are both given one week to find a job, otherwise they will both be thrown out of the house. Two monsters, Sully and Mike Wazowski, work for Monsters, Inc. which is the company that produces the power for Monstropolis (the city where they both live- inhabited by monsters- and no humans). Sully and Mike work on the scare floor at Monsters, Inc. as the way the company produces the power for the city is by scaring children, but all of the monsters in Monstropolis are extremely afraid of being contaminated by children, so when a child gets loose in the city it is up to Sully and Mike to send the child back to the human world. When Jake Fischer, played by Ashton Kutcher (Two and a Half Men), enrols at the U.S. Coast Guard's School, he is taught by legendary rescue swimmer Ben Randall, played by Kevin Costner (Dances with Wolves), about the hardships of working as a coast guard- involving a great deal of loss and self-sacrifice. Andrew Paxton, played by Ryan Reynolds (Green Lantern), the assistant of a seemingly cold-blooded boss, Margaret Tate, played by Sandra Bullock (Gravity), is on the verge of receiving a big promotion, however, the boss whom he has worked so hard for is about to be deported as her visa has expired. Margaret (the boss) comes up with a plan to marry Andrew (the assistant) so that she can keep her job and Andrew can get the big promotion that he has worked so hard for. One catch- Margaret and Andrew must spend the weekend with Andrew's family, giving them time to get to know one another more intimately and personally. Steve Rogers (aka Captain America), played by Chris Evans (Fantastic Four), is transformed into a more powerful human being by giving his a serum, making him a super soldier and is immediately given the name Captain America. It is then up to Captain America to assist in the efforts to take down a secret Nazi Germany HYDRA research department ran by Johann Schmidt (aka Red Skull), played by Hugo Weaving (The Matrix). Ben Thomas, played by Will Smith (Men in Black), seeks redemption by changing the lives of seven different individuals he doesn't know of which he feels deserve the random act of kindness. All the while, Ben is being haunted by a secret from his past. These movies are all currently available on Netflix Instant UK, so feel free to go and check them out if you haven't done so already. Any thoughts or questions? Leave them in the comments box below.